Is Every Coupon App Created Equally? Modern marketers and coupon app s can now readily issue mobile coupons and vouchers literally moments before check-out. This is especially true for location-based offers. But how do they redeem them? Think of “Tweet-a-Coke” or “Tweet-a-Coffee”. 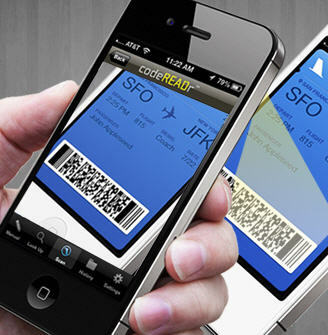 Or offers simultaneously running on wallet applications, such as Apple’s Passbook and Google Wallet. Sophisticated retailers, like Starbucks, can handle real-time redemption with barcode scans, as can services like those offered by Groupon and Living Social. What about the creative marketer that doesn’t have access to the merchant’s POS system? Or what if their coupon app can’t merge the offers issued by multiple issuing platforms into a single, validation database in real time? There would be a lot more mobile offers out there if the redemption barrier could be eliminated. Our enhanced ‘database-insert’ feature enables merchants to use smartphones and tablets to redeem coupons and vouchers in real-time. Importantly, we do it without requiring that the marketer integrate with POS systems, third-party databases, or competing services. How Does it Work with Barcode Scans? Marketers give participating merchants a unique app username to sign into the codeREADr app. This authorizes them to use the app for reading barcodes embedded with the unique coupon or voucher ID specific to a campaign. The first time the barcode is read, the app will show the app user a green ‘Valid’ screen. The barcode ID is then automatically inserted into a campaign-specific ‘validation database’ hosted on codeREADr’s cloud-based servers. The next time that same barcode is read by the merchant for that campaign, they will be instantly alerted with a red ‘Invalid Duplicate’ screen – now also indicating the time(s) and date(s) it was previously redeemed. Secondary, conditional validations allow special count and duration-based conditions to invalidate barcode scans. Conditional validations include min/max and start/stop-by dates, times, and duration from the first scan. Marketers can view redemptions in real-time. They can also export CSV files for use with Excel or import into other programs using an API. They might also post barcode scans directly to their own servers. Finally, they could even create custom in-app content and collect supplemental data at the point of service. In some cases, merchants will be concerned that consumers will create their own barcode credentials. Here, database-insert can be supplemented with additional security procedures. This might include pattern matching. It may even include validating against a full or partial database of known IDs, with or without Internet access..